Situated in the town of Turriff, Aberdeenshire, next to the River Deveron, Turriff Primary School accommodates approximately 550 children. We were involved in the build stage of this new school which officially opened in November 2017. 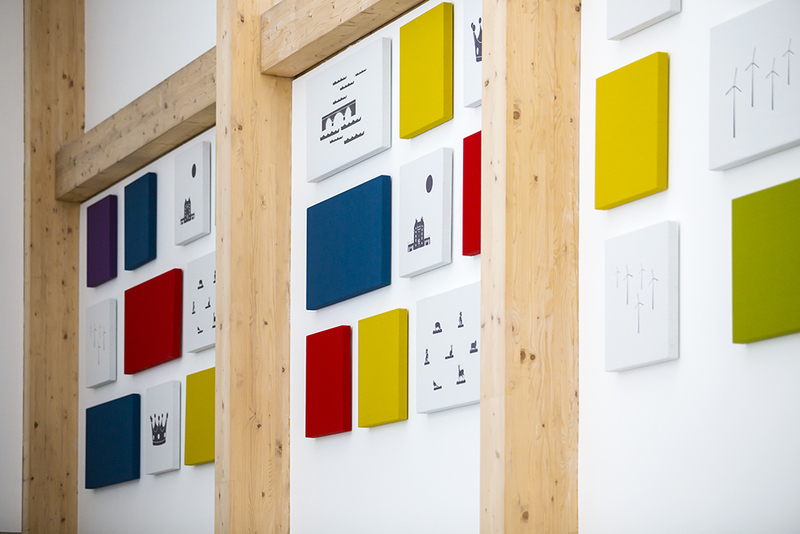 Working alongside the design team we created a series of integrated artworks with way-finding at the heart of the project, using pattern and colour to guide the children from the playground to the internal spaces. 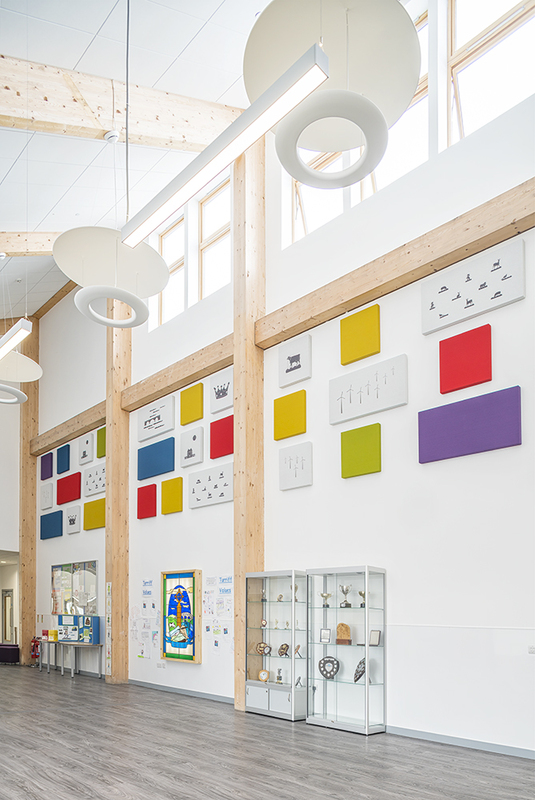 Vinyl manifestations, wall-coverings and acoustic panels were used throughout the school to enliven and illuminate the new building. Inspiration was drawn from the land, history and cultural aspects of Turriff. A historical timeline was created in vinyl for the school’s library wall, creating a colourful educational tool, touching on historical events such as the “Raid of Turriff”, the arrival of its railway and the “Turra Coo” which became a popular emblem of the town. 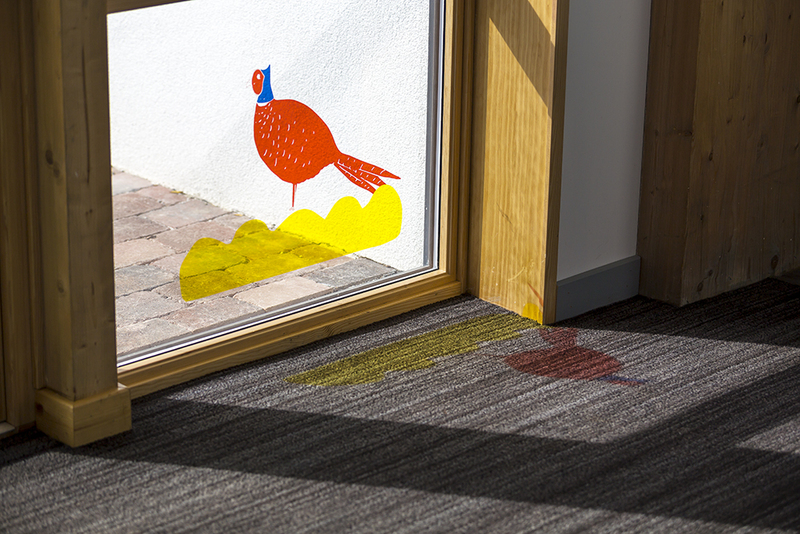 We celebrated the fabulous design of the school’s nursery and music room through incorporating glass window vinyls in fun bold graphics and bright primary colours.